Two first presidential Weekly Addresses Obama and Trump – JAK WYGRAĆ WYBORY? Did you know that than Donald Trump like Barack Obama decided to take Weekly Address on official White House YouTube channel? Yes, really. I waited one week for that and now I can say, that was very good decision. First, this is free channel which can give us (people from US and from different countries) see how is his presidency developing. Second, we know about that. President Obama and president Trump, they are reading on that video, but in XXI century we are very soon in their power. It doesn’t matter where we are. We can see and hear their voice directly and very quick. I know, media, and public commentators are very interested about his decision (presidential), but for us, this is really chance to meet The President directly. Of course we remember about media, about reporters and corespondents who are taking us more than official message, but this is important for people, who want to see real man. 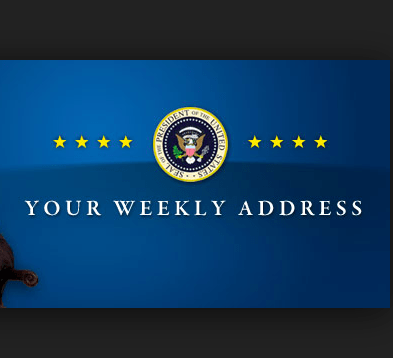 Now, you can see what is the difference between first presidential Weekly Adress The President Obama and The President Trump. I have an offer for you. You can see what is on their faces. Obama and Trump are at the beginning their presidency, but their faces saying for us many things about personalities this two man. If you are interested about politics see book about Barack Obama campaigns. Next Wybory samorządowe 2017 czy 2018?